We've all turned on the faucet only to be met with slow water flow. Whether the water is trickling out or it's just a bit weaker than usual, low water pressure can be annoying. Slow water flow can be an indication of several issues. By knowing the causes of low water pressure and a few simple solutions you can try, you'll save lots of money and heartache in the long run. As simple as this may sound, sometimes slow water flow can be attributed directly to a shut off valve that isn't completely open. Locate the shut off valves. (They're usually located underneath most sinks.) Turn the knob counter-clockwise as much as you can. If a partially-shut valve was the cause, your water pressure will increase. If your valves are open all the way and you're still experiencing slow water flow, then the cause might be a clog. The first place to check is the aerator. The aerator is the cap on your faucet where the water comes out of. It has a screen and, over time, sediment gets caught in it, which impedes water flow. Remove the aerator and clean it thoroughly. Some recommend soaking the aerator in vinegar for a few hours, but you should be able to do a good enough cleaning job without the vinegar. If there was a lot of dirt in the aerator, your water pressure will improve significantly. If you've cleaned the aerator and the water flow is still weak, there may be a clog in the pipes. As time goes by, mineral deposits build up in the piping. That will slow water flow and, eventually, it may even cause your pipes to burst. Don't let it get any worse - consult a professional. In general, your pipes need to be regularly maintained to ensure they're functioning properly. Pipes that go ignored will end up costing you in the long run. If there's a leak somewhere in your piping, that will definitely cause decreased water pressure. A clever way to see if your pipes are leaking is to check your water meter, then turn off all the water in your house - the main water valve should be in your basement. Wait a couple of hours, then check your water meter again. If the reading has increased, you probably have a leak and should call a plumber. If you notice that the cold water pressure is fine but the hot water pressure is low, then the issue may be with your water heater. 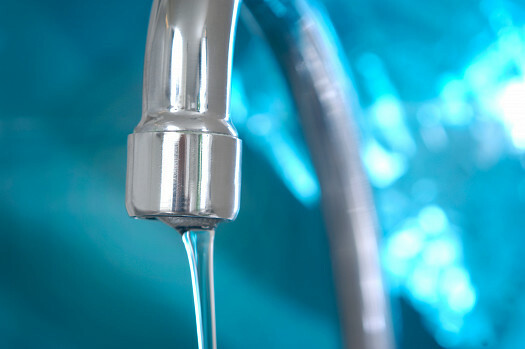 Check the valves on the water heater to ensure they're open all the way and see if that improves your hot water flow. If not, the issue may be more intensive - the water lines leading into the water heater may have leaks or blockages or the water heater itself might be going. In that case, you should hire a professional. Hopefully, you were able to resolve your slow water flow issue. But if the problem persists, or if you're uncomfortable tinkering with the plumbing on your own for fear of creating a much larger issue (a legitimate concern), then you shouldn't hesitate to seek the opinion of a professional.